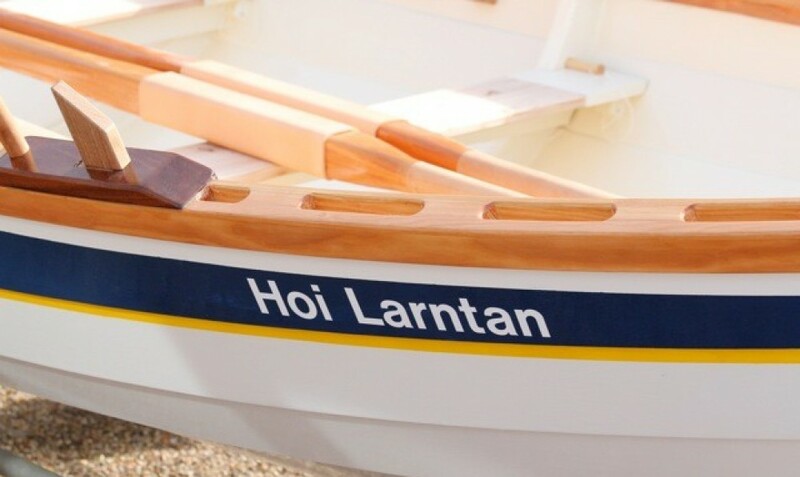 In a brief window between the horrendous weather that has dominated the past few weeks, Hoi Larntan joined Mike Gilbert, the Langstone Cutters and Gigs to enjoy some pleasant sun in Langstone Harbour and round Hayling Island. The St Ayles skiff made several new friends and a very good impression all round. 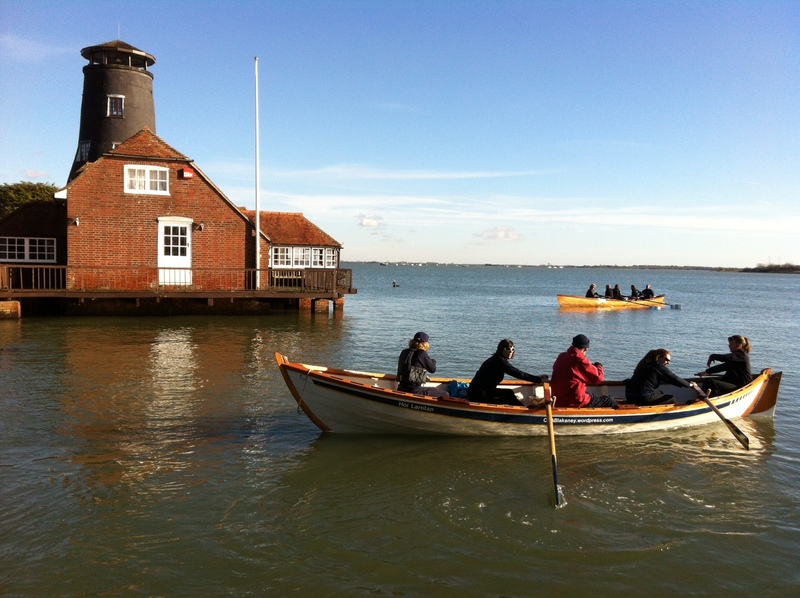 Back to Barton for a row on Wednesday – one seat still to fill – see calendar on this web-site. Thanks to Andy Marczewski’s enthusiasm and Antonia’s care and attention, CRABlakeney raised the massive sum of £2150.00 for Prostate Cancer research with our row up the Thames in the Summer. The annual Great River Race proved not only enormous fun (exhausting too – 3 hrs solid rowing from Docklands to Kew) but also encouraged so many friends and supporters to give generously to a charity which reaches into our community. Antonia received a congratulatory e-mail from Just Giving to say that your efforts put us among their top 5% of fund raisers for 2013. Thank you so much to all of you who did give so generously and a huge ‘well done’ to our rowers.